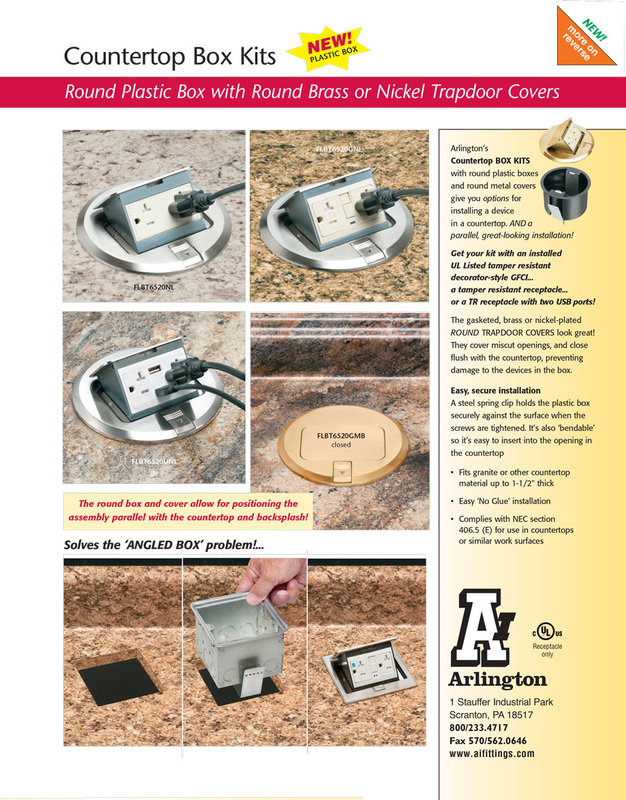 Arlington's Countertop Box Kits with round plastic boxes and round metal covers give you options for installing a device in a countertop AND a parallel, great-looking installation. 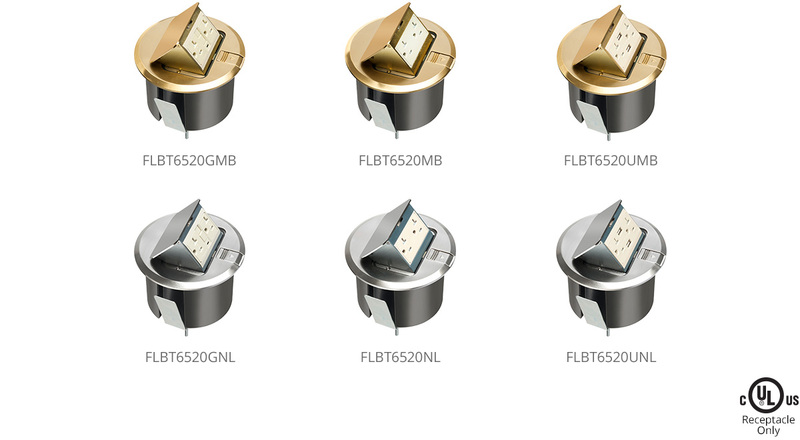 Kits are available in either brass or nickel-plated brass with a choice of an installed UL Listed tamper resistant (TR) decorator-style GFCI, a TR receptacle, or a TR receptacle with two USB ports. 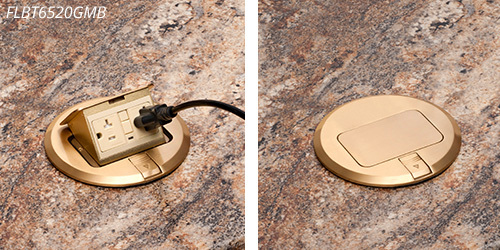 The round gasketed metal covers hide miscut openings and close nearly flush with the countertop, preventing damage to the devices in the box. 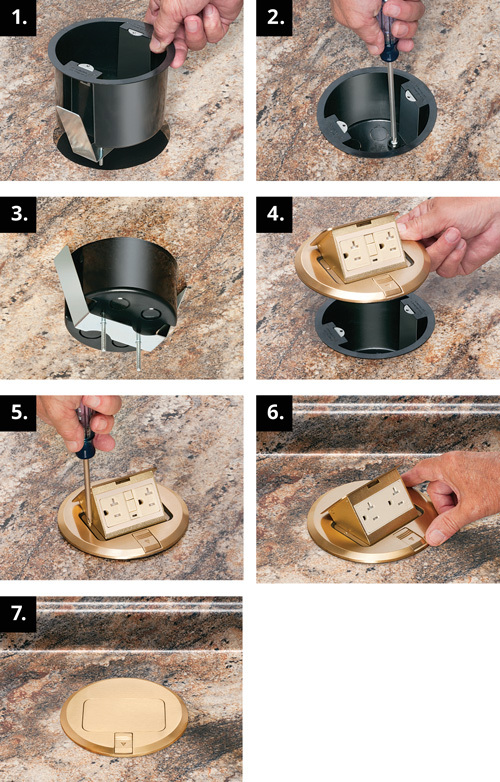 it's easy to insert into the opening in the countertop. Note: Round cover hides miscut openings. parallel with the countertop and backsplash.